I just love this picture, what a hat! In researching Edith I looked for information on a woman whose maiden name was Keifer and a woman whose maiden name was Rhienhardt with a married name of Keifer. The later generated results. 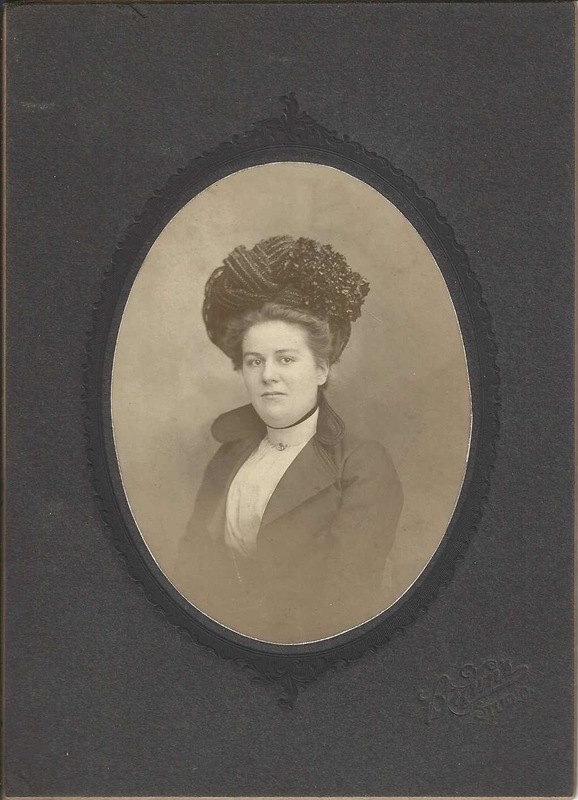 While it’s not definite, I’m fairly confident in saying that, based on the documents I’ve found, this is Edith P. Rhienhardt, born in Medina, Ohio in 1880. She married Honor S. Keifer on June 3, 1911 at the age of 30. I bought Edith’s house in Medina two years ago and have been researching her life, to the best of my ability. Thanks to your photo, she now has a face! Many thanks. Bonnie, That’s absolutely wonderful! I’m so glad you have a picture of her now. Let me know if you’d like the original photo.